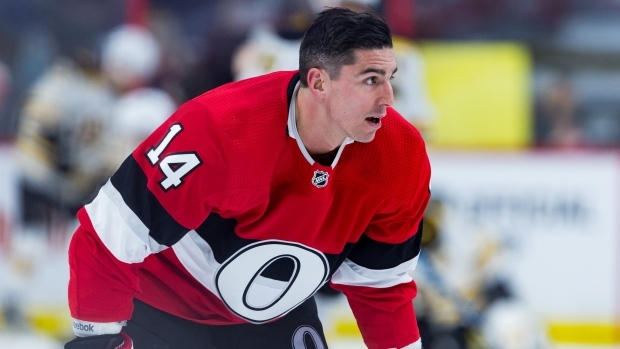 The Ottawa Senators have placed winger Alexandre Burrows on unconditional waivers for the purpose of a buyout. Burrows, 37, has one year and $2.5 million remaining on a two-year extension signed with the club upon his acquisition from the Vancouver Canucks at the 2017 trade deadline. Since the contract was signed after Burrows had turned 35, there is no cap-hit savings for the team. A native of Pincourt, Que., Burrows appeared in 71 games for the Sens last season, scoring six goals and adding eight assists. He received a 10-game suspension in February for a knee on New Jersey Devils winger Taylor Hall. Burrows was acquired by the Sens for winger Jonathan Dahlen. Undrafted out of the Quebec Major Junior Hockey League's Shawinigan Cataractes, Burrows worked his way up the Canucks organization from the ECHL to make his NHL debut in 2005-06. Playing nearly 12 seasons for the Canucks, Burrow's best year offensively came in 2009-10 when he scored 35 goals and added 32 assists. He was instrumental in the team's run to the 2010 Stanley Cup Final, scoring nine goals and adding eight assists in 25 playoff contests. Burrows has twice represented Canada at world championships in 2012 and 2014. In 913 games with the Canucks and Senators over 13 seasons, Burrows has 205 goals and 204 assists.